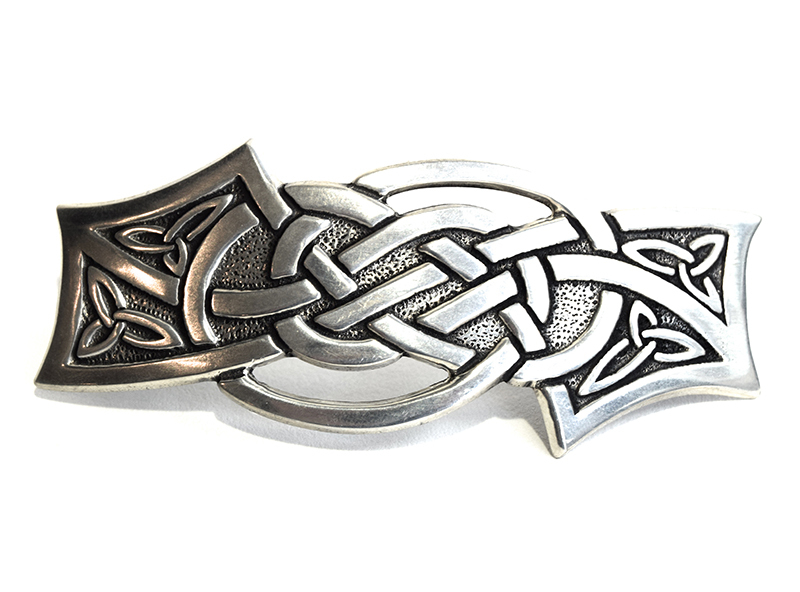 Pewter Celtic knotwork design hairslide with rhodium-plated stainless steel sprung clasp. 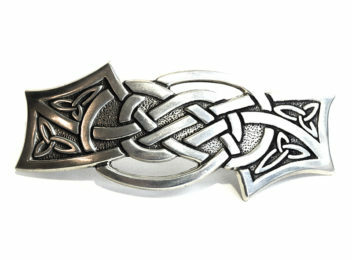 Width 38mm Length 90mm. Supplied in a velvet pouch. Each piece of St Justin jewellery and giftware is crafted by hand and eye in Cornwall, the South West extremity of Britain.